Veinlite LEDX® is our portable transilluminator designed specifically for sclerotherapy and phlebectomy. Featuring a wider opening, a larger viewing area and 32 LEDs, the LEDX model has a deeper focus and is the ideal model for use on obese patients. 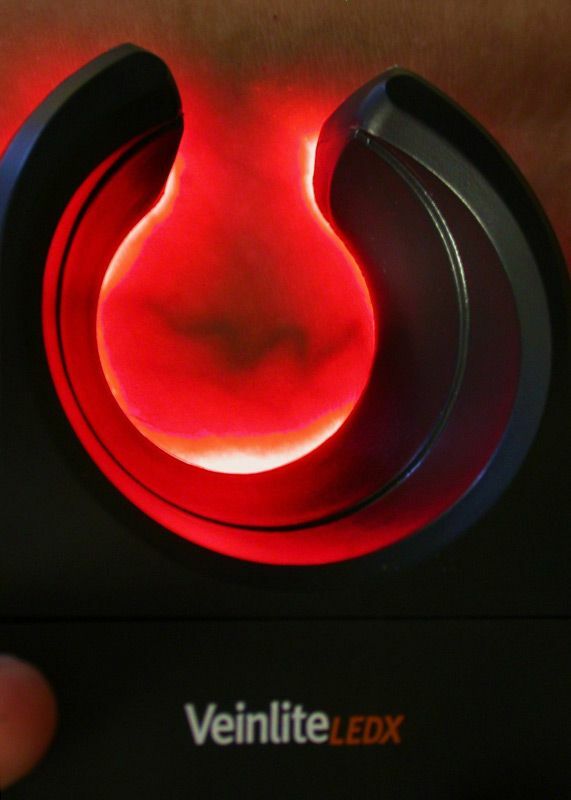 With 24 orange and 8 red LEDs, this rechargeable unit also provides the highest contrast imaging for sclerotherapy treatments. 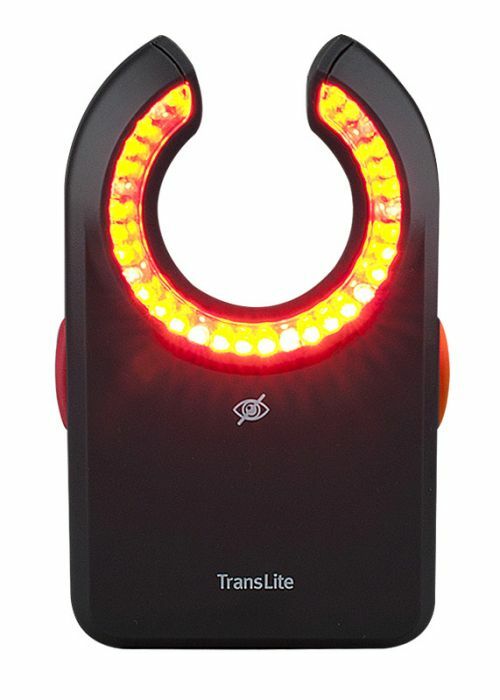 TransLite's brightest portable Veinlite® features more orange LEDs that are easier on the eye, giving the best possible contrast for imaging veins in overweight patients and for viewing varicose and spider veins. 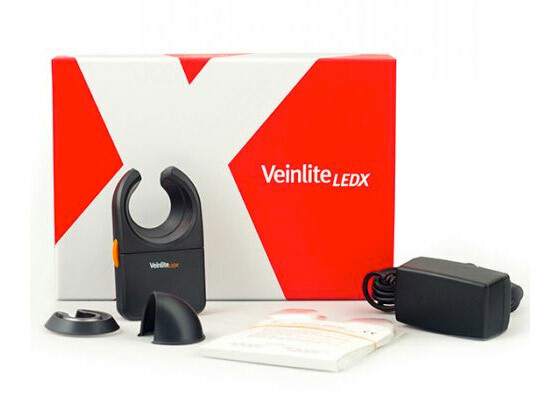 Veinlite LEDX®'s deeper focus and dark red LEDs facilitate better visualization of deeper and feeder veins. 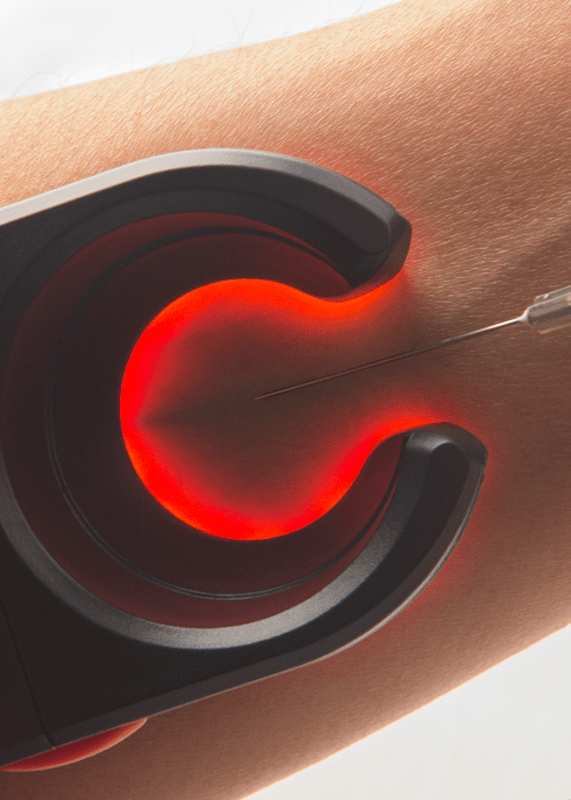 The larger area of illumination speeds up vein location and sclerotherapy treatments.